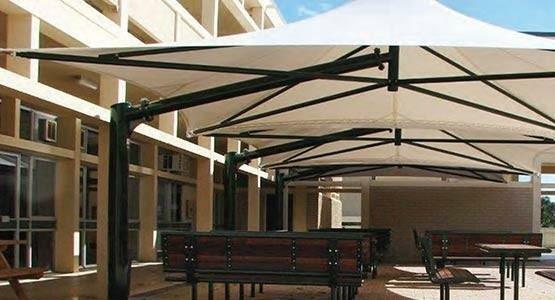 Shadeform specialises in the design, manufacture, and installation of custom made shadesails & structures. 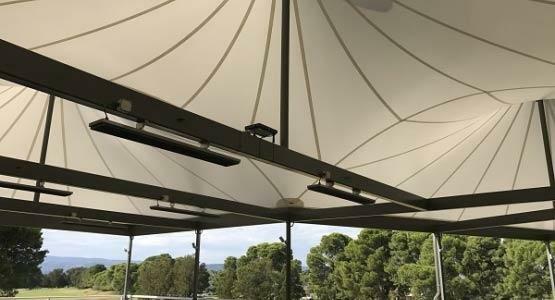 And as exclusive agents for Issey and Flexshade, Shadeform are also experts in Blinds, Awnings, Outdoor Umbrellas, and Retractable Roof Systems. 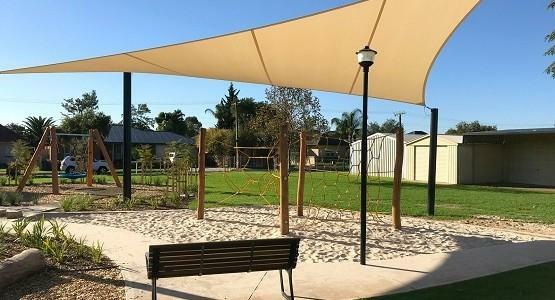 We cater to a wide range of applications, including small residential shade sails for your backyard, right up to large custom shade structures for schools, councils, and all commercial situations. 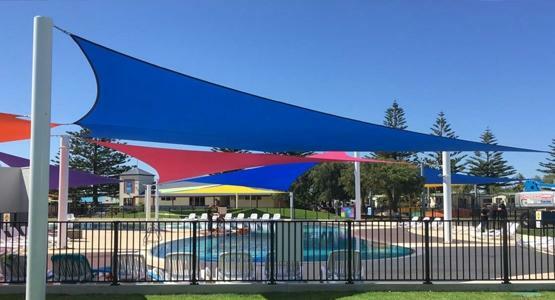 An entirely South Australian family owned and operated company, Shadeform has over 30 years experience in the sail making/sail shade industry. 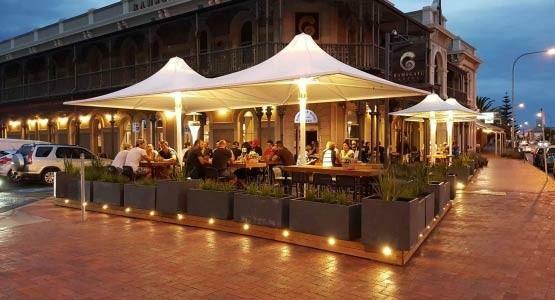 With a product range that covers almost any application, Shadeform’s long list of shading solutions, coupled with its unique capabilities, ensures Shadeform deliver the perfect Shading solutions. 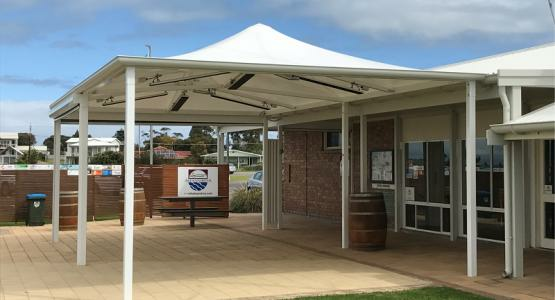 Starting out as a sailmaking loft for yacht sails & yacht chandlery business in the 80’s, brothers Mark and Wayne Soulsby had multiple successes winning top level sailing regattas at the national level. 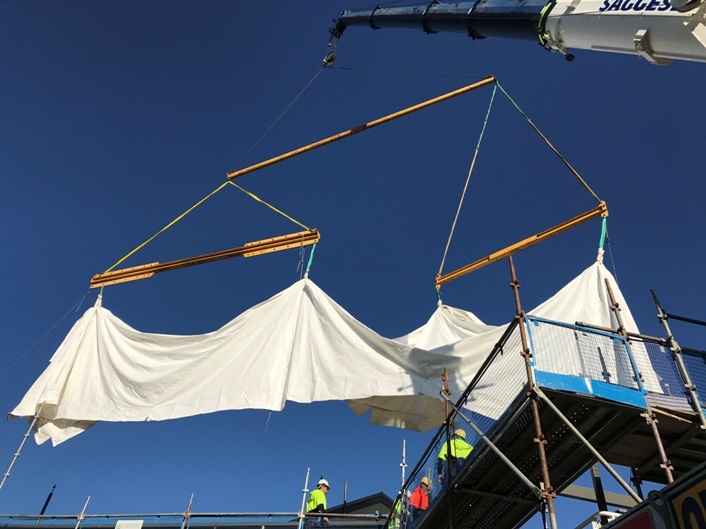 High quality sailmaking with precision and an eye for detail were pivotal contributions to this success. 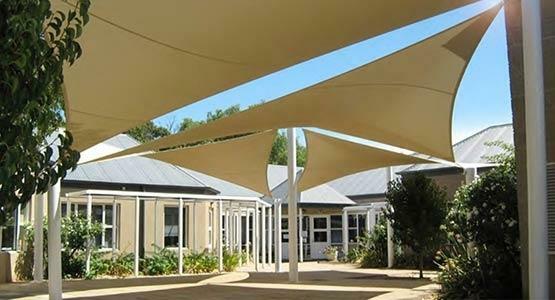 Using these key sailmaking elements, unique to the handmade craft of yacht sailmaking, together with the knowledge of wind loads on yacht fittings ect., Shadeform have diversified into providing sun and shade protection for commercial and residential applications, all over Australia. 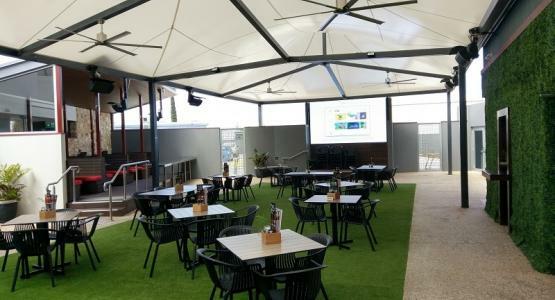 With our 3D modelling software we have the ability to construct a concept design of your unique project within the surrounding, clearly illustrating its 3D form and shading footprint. 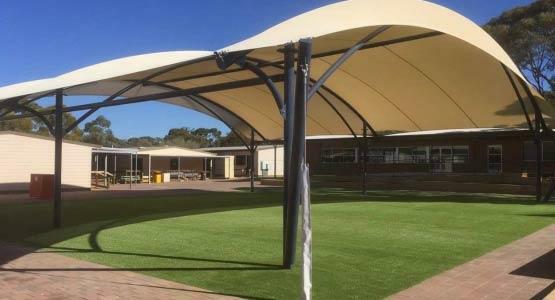 This is an excellent tool providing all stakeholders with the opportunity to view 3D shape, shade cover, sight lines, and a holistic view of the built form within the landscape. 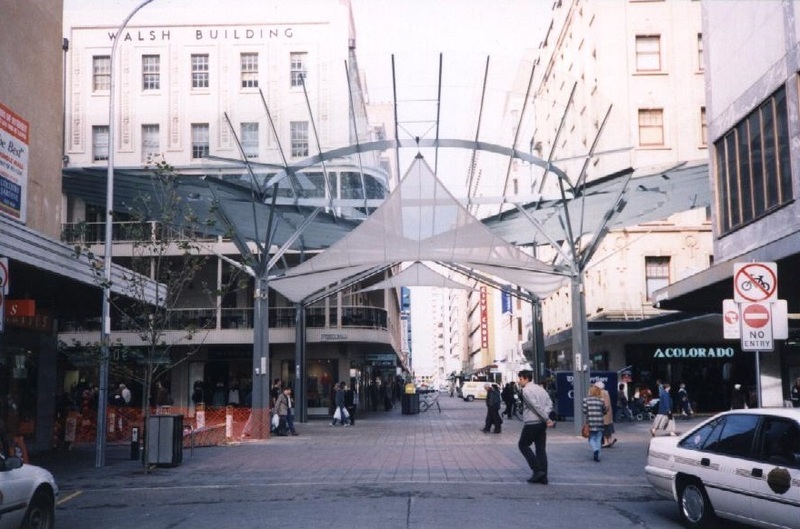 Structural drafting and shop drawing services are also available. 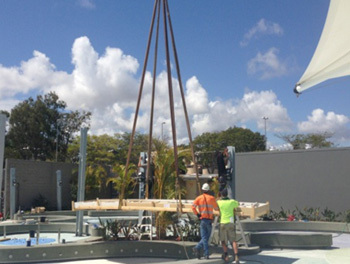 We can supply, manage, and install turn-key projects including architectural design and full engineering certification. 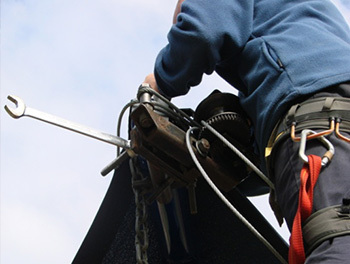 Shadeform can also manage all components of the delivery, including transport and logistics, liaison with council and engineers, and other persons of interest – making for easy communication too. 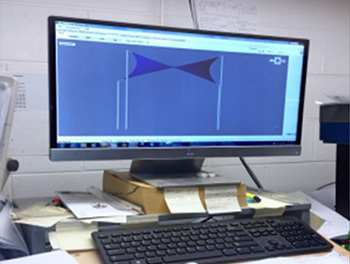 At Shadeform, we use the latest computer software in order to generate our sail shapes, analyze tension loadings, and create computer cut sail panels with pin point accuracy. 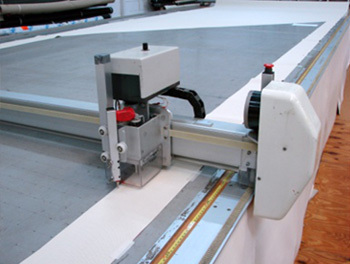 Our state of the art 10m x 3m flat bed computerized cutting table, ensures sail panels are cut with the utmost accuracy. Heat Welding, High Frequency Fabric Welding, and Sewing Machines enable panels to be joined together to form one continuous membrane. 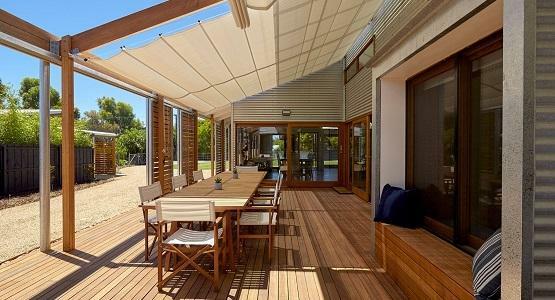 Shadeform have multiple specialist teams that are dedicated to sail, blind, awning, and retractable roof installs. Having an expert onsite, from design, right through to hand over, is very advantageous as no details are lost or misunderstood.